Is it the sound of Vampire Santa dragging his sorry sackful of eggnog around once again for the holiday season? 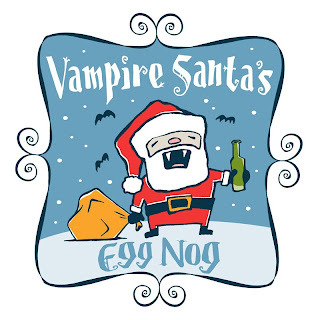 And as the sole purveyer of Vampire Santa's Eggnog, I have only one wish for you: That you get a bottle. To be apprised of Vampire Santa's annual production schedule, Join the Vampire Santa Facebook group!